There are numerous possibilities for material size and shape that can be tested with the Taber® Linear Abraser. As a result, it is up to the user to determine a suitable clamping or fixturing device that will secure the test specimen in place. If the product shifts or moves during testing, an inconsistent wear path may develop which will compromise your test results. It is recommended that specimens be tested as close to the spline bearing as possible. This reduces the moment arm of the spline shaft, which in turn will minimize the spline shaft's tendency to deflect as the test attachment is being dragged across the specimen. For reproducible test results, it is essential that the specimen be positioned the same way for each test and that the mounting method does not interfere with the movement of the test attachment. The T-Slot Universal Table offers a large surface area with T-slot tracks that will accommodate most 5/16" and 3/8" T-slot configured holders. Included with the T-Slot Universal Table are two T-slot specimen clamps that will secure most flat specimens as well as products with a contour. 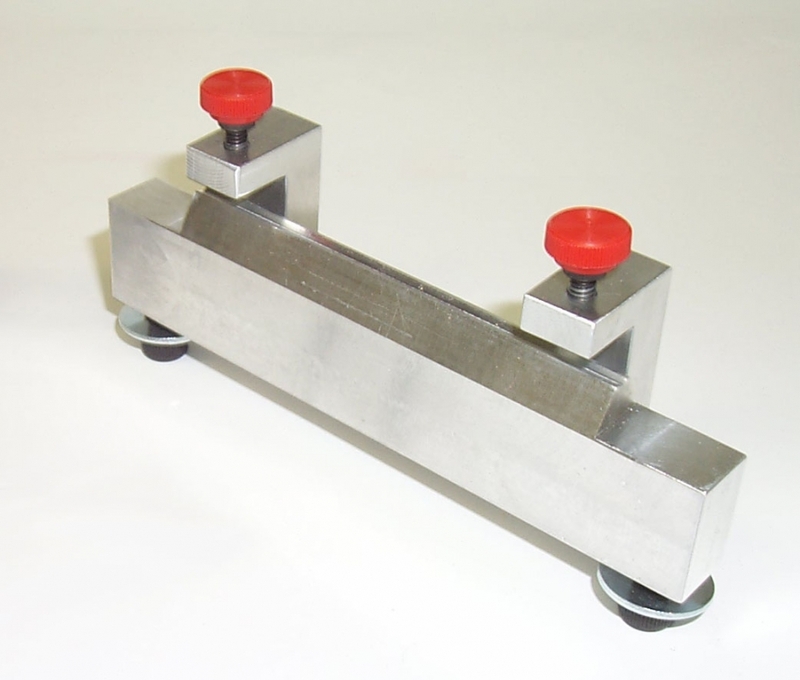 Spacer bars, also included, can be used to raise the table surface approximately 2 inches. 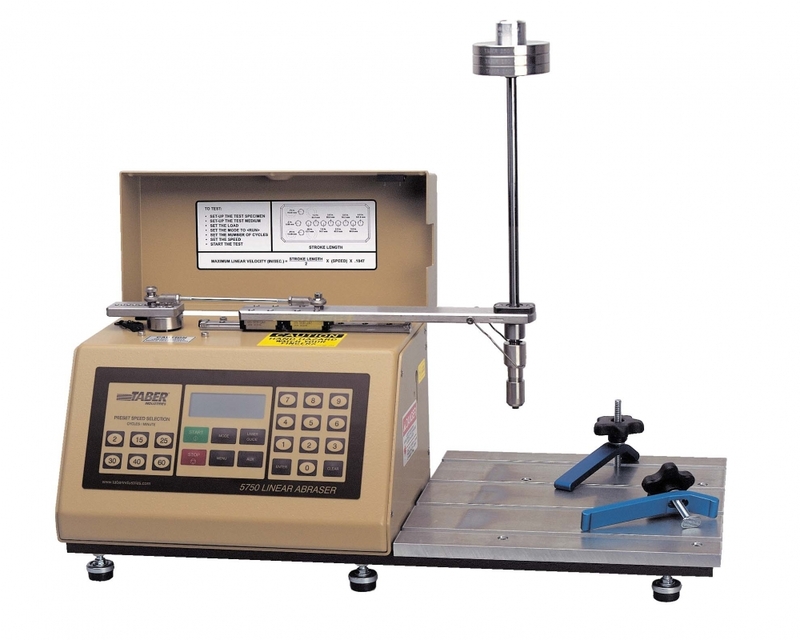 This minimizes deflection of the spline shaft and is recommended when testing flat specimens. 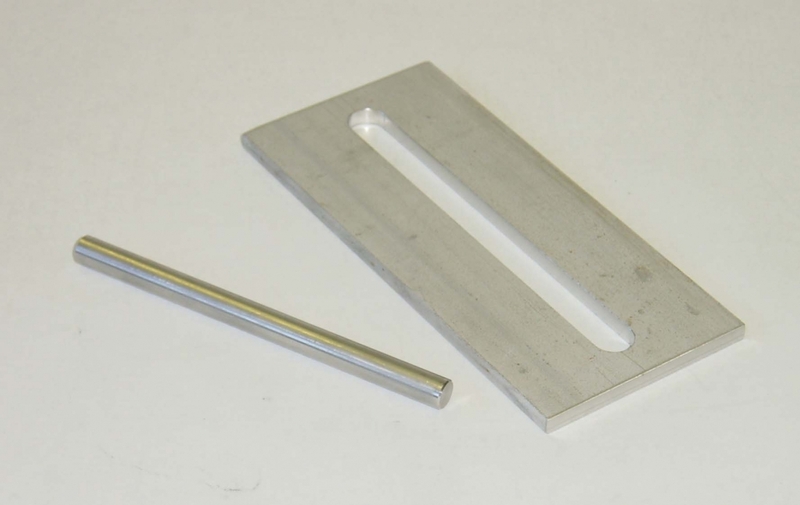 Optional specimen fixing plates are available for use with the T-Slot Universal Table. Secure flat, semi-flexible or flexible samples with the Wide Slot Specimen Holder Kit. With a 32mm x 140mm opening, the specimen holder is suitable for use with Taber Linear Abraser attachments such as the 5mm Scrape Kit; 10mm Scrape Kit; or Brass Brush Holder. Lightweight, flexible materials (e.g. textiles) can be secured to the T-Slot Universal Table using the optional Specimen Fixing Plate. An 8mm diameter rod is placed under the specimen to provide a pre-tension and reduce movement of the sample during testing. The Specimen Fixing Plate includes an 11mm x 140mm opening. When testing data cards with the Magnetic Strip Abrasion Kit, the Credit Card Specimen Holder is recommended with the T-Slot Universal Table. This holder features a recessed area for securely holding data cards in place. Semicircular finger holes allow for easy removal of the data card after testing is complete. 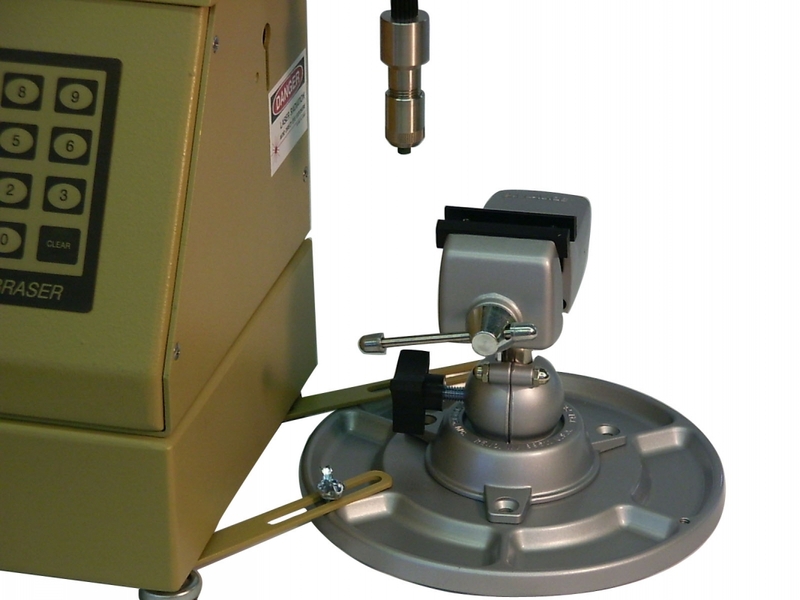 The Wire Support Fixture is available to secure hold wire or cable samples in place while testing. Designed to work with cyclindrical objects at least 3.5" in length and with a diameter between 0.037 - 0.098 inch, this support includes a raised area that has a 0.080 radius cutout to cradle the specimen. 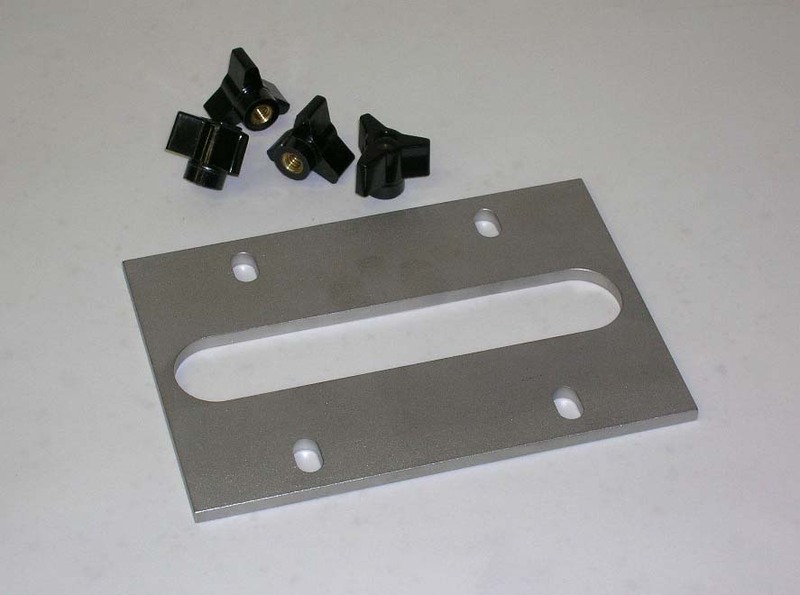 Attaches to the T-Slot Universal Table with two t-slot fasteners. The Universal Specimen Table is a versatile specimen mounting system for the Taber Linear Abraser which includes three interchangeable heads. The Standard Vise Head includes nylon jaws that offer "gentle holding power" and open approximately 57mm. The Wide Opening Vise Head is designed with jaws that open approximately 150mm ribbed. Neoprene jaw pads provide a sure grip on large items, and when reversed will provide a "V" grip to hold cylindrical objects. 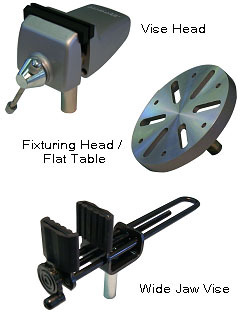 The third interchangeable head is the Fixturing Head, which is a flat surface 135mm in diameter. Six slots and six 1/4" holes permit specimens to be attached to this table. The Universal Specimen Table incorporates a low profile mount that includes a "split ball" design. This allows the vise head to be tilted, turned or rotated for specimen positioning. A base spacer is mounted to the bottom of the Linear Abraser to generate the necessary spacing for the interchangeable heads, and two connecting links attach the Universal Specimen Table to the Linear Abraser to ensure it does not move during testing.